NEW UNDERWOOD, S.D. – The suspect has been identified. Get full details here. 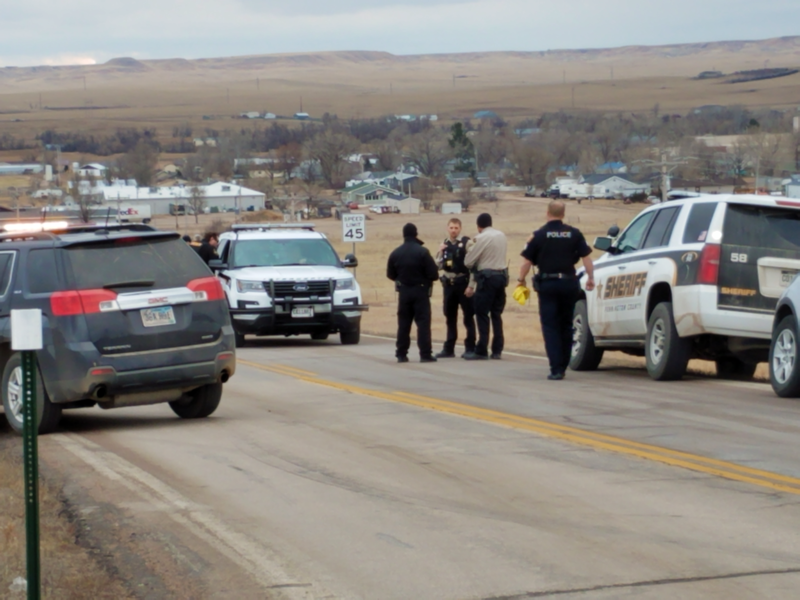 Authorities shot and killed a man after a high-speed pursuit that ended in a New Underwood crash Friday afternoon. 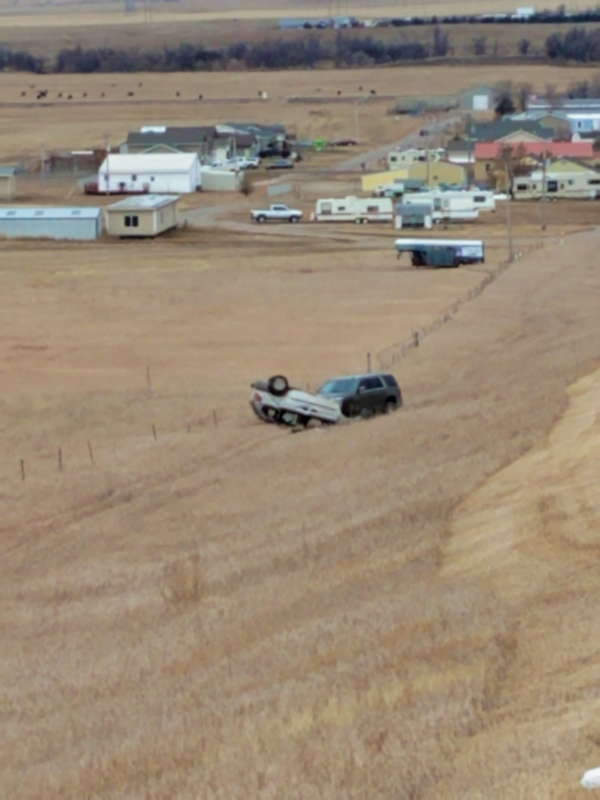 The pursuit began after an attempted traffic stop by deputies in the Spade Court area of Rapid Valley. 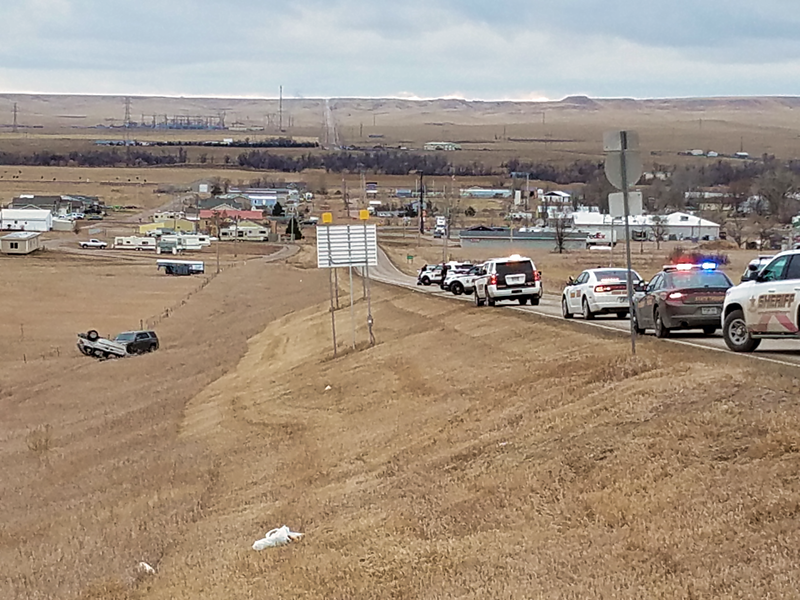 The deputies were already looking for the suspect, according to the Pennington County Sheriff’s Office. When they found the suspect, he did not stop until he arrived at a nearby home. He ran into the house, then got back into his car to evade authorities. 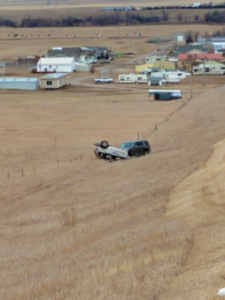 The chase stretched into Box Elder and finally New Underwood, where deputies used tactical vehicle intervention to stop the suspect. This ended in the man rolling his car near Exit 78. The man shot at authorities during the pursuit, but law enforcement was not hit, according to the PCSO’s Chief Deputy, Willie Whelchel. Deputies were seen carefully edging up to the wreck. The suspect got out, rifle in hand, shooting again at law enforcement. They returned fire and the man was pronounced dead on the scene. The suspect’s name will be released after the family is notified. He was the only person in the car. Investigators are tracking the areas of the pursuit and where shots were fired. If anyone has information to add, report it to law enforcement. 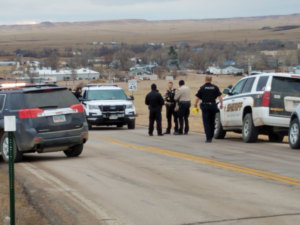 The South Dakota Division of Criminal Investigation, the South Dakota Highway Patrol, and the Rapid City Police Department are taking over the investigation. Exit 78 to New Underwood is closed while the crime scene is active. 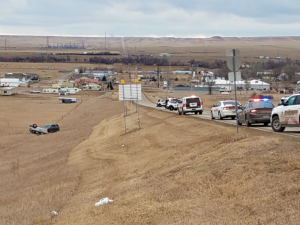 Box Elder schools were placed on secure status while the pursuit was in town. The district was in a secure status. That has now been lifted. Everyone is safe.